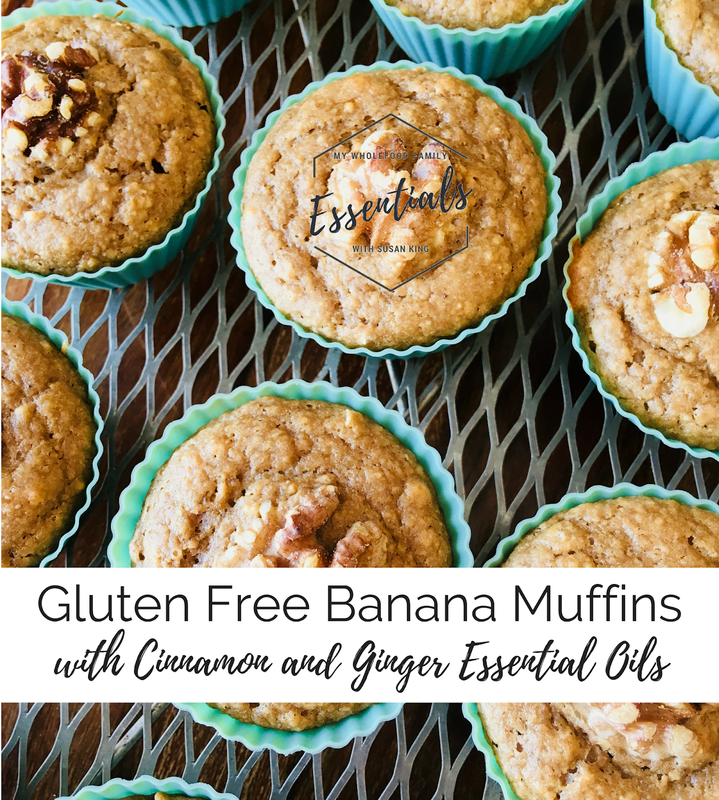 Calling all gluten-free peeps! If you can't be bothered making GF pastry, you have to try doing this instead. 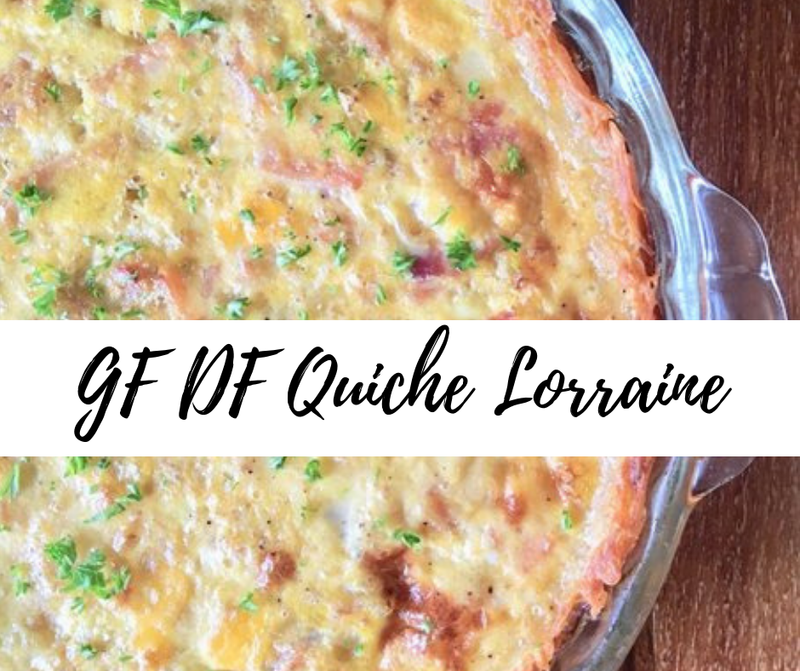 And my gluten-free, dairy-free quiche lorraine is DELICIOUS! Preheat oven to 200 degrees. Brush a glass quiche dish with a little of the olive oil and set aside. The base is essentially a giant hash brown! Grate the potato and squeeze out as much of the water as possible. I put mine in a nut-milk bag but a tea towel will work too. When the potato feels dry to the touch, add the oil, salt and pepper and use your hands to mix well. Press the potato over the base and sides of the quiche dish. Bake for approximately 30 minutes or until golden brown all over. If the edges are getting too dark just cover them with a little foil and keep baking. You want the base to be crispy and golden. Remove from the oven and allow to cool. Fry off the bacon for a couple of minutes until the fat starts to render. Add the onion and cook for about 10 minutes until it's softened and translucent. Add the garlic and cook for a further 2 minutes. Remove from the heat. In a medium jug, whisk together the eggs, milk and all remaining ingredients. Tip the bacon and onion mixture over the potato base. Pour over the egg mixture and bake for 25-30 minutes or until just set. This is SO much easier and tastier (I think) than gluten-free pastry and it works every time. It's been almost 5 years since I regularly drank coffee. Having to quit dairy while I was breastfeeding because of my son's reflux put a stop to that! 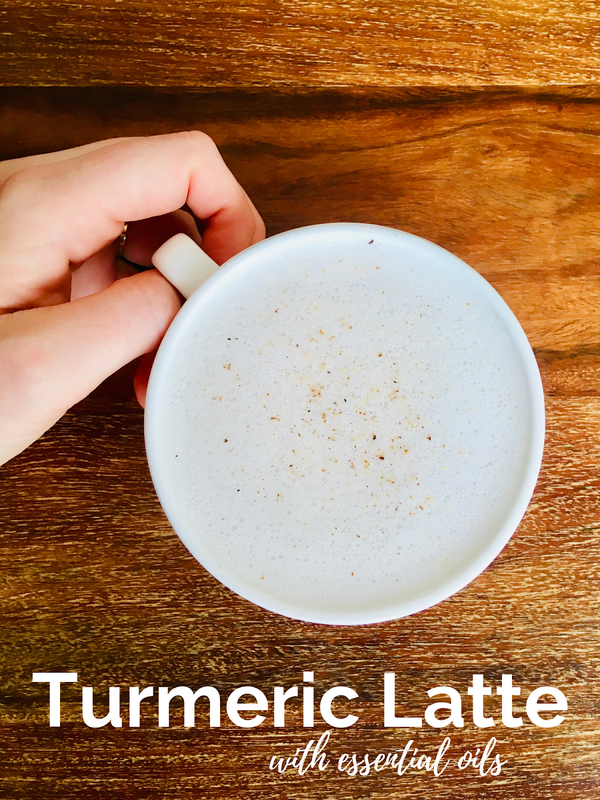 These days I'm OBSESSED with turmeric lattes. So when doTERRA released their brand new Turmeric essential oil in September I couldn't wait to put it to the test in my latte. And you guys it's SO GOOD! Not bright yellow like normal turmeric but all the flavour and benefits. To make the master blend - add 1/3 cup liquid coconut oil to a jar and add Cinnamon, Ginger and Wild Orange essential oils. Stir well. Use 1tbs of this mixture per drink. To make the latte - Warm the milk, collagen, vanilla and xylitol together (I do 3 mins / 60 degrees / SP 2 in the Thermomix but in a pot on the stove is fine). Add the oils, blend (10 secs / SP 8) and enjoy! I add a little fresh nutmeg on top too. 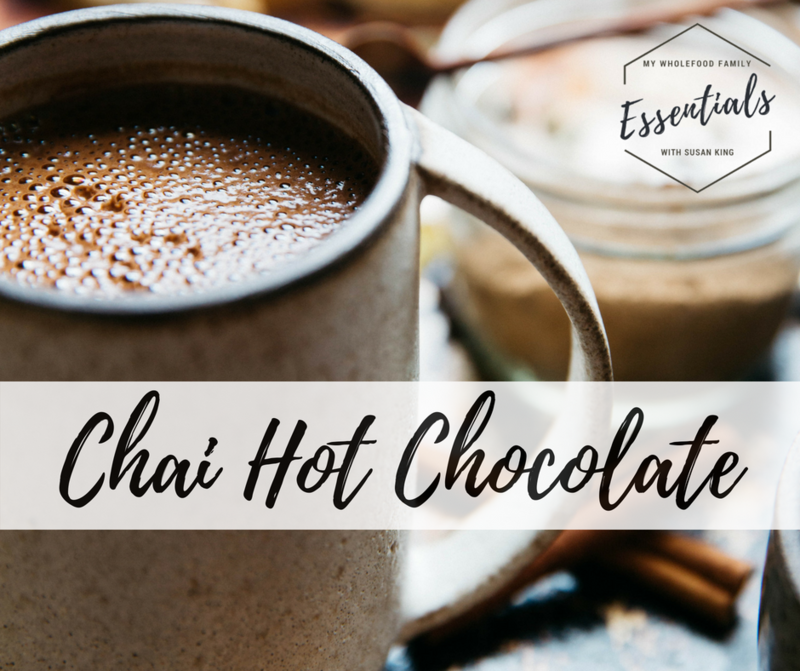 If you don't have Turmeric yet you can make my chai latte master blend with 2 drops each Cinnamon, Ginger, Cardamom and Black Pepper oils in 1/3 cup coconut oil. We've reached the point of the year where I'm a bit over cooking to be completely honest! Dinner needs to be on the table every night and it's got to be quick, easy and relatively nutritious. This is so simple it's barely a recipe but it's something I make really often. 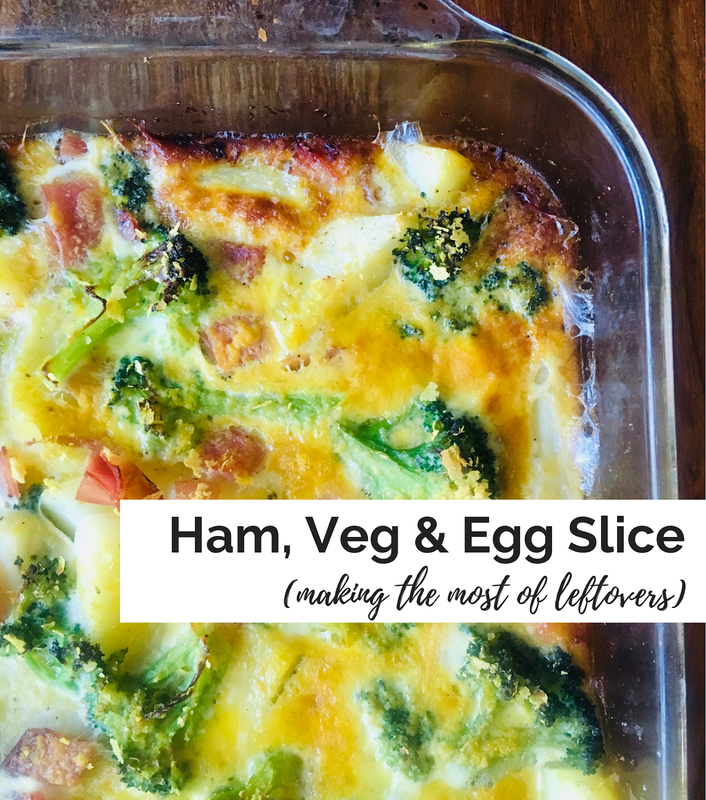 Either for a quick dinner using up leftover veggies. Or I'll make it on a Sunday so I've got my own lunch sorted for the week. Use whatever cooked veggies you have on hand. Throw in some herbs. 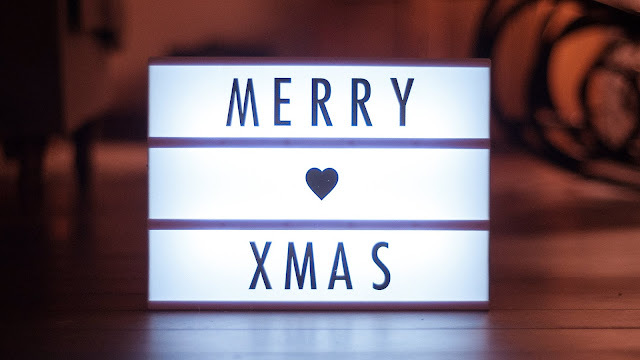 Use ham, bacon, tinned salmon or leftover chicken or sausages. Preheat oven to 180 degrees and lightly grease a baking dish. Roughly chop the veggies and layer into the baking dish. Add the ham. In a medium jug whisk together the eggs, milk, oil, salt and pepper. Pour over the veggies and sprinkle the yeast flakes over the top. Bake for approx 40 minutes or until set and golden brown. Do your kids get hangry? Usually after school but for my 7 yo it's also first thing in the morning (because he's eaten nothing for dinner the night before but that's a story for another day!). Over Winter I came up with something that has transformed our mornings. It's honestly amazing the difference it makes getting this into his tummy first thing. 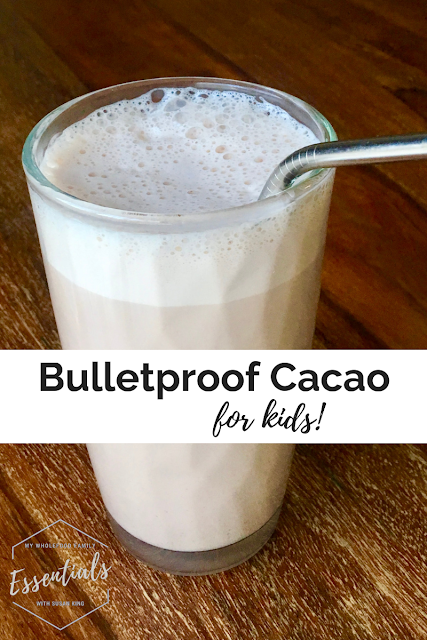 It's basically a kids version of a bulletproof coffee so it's really warming and filling. 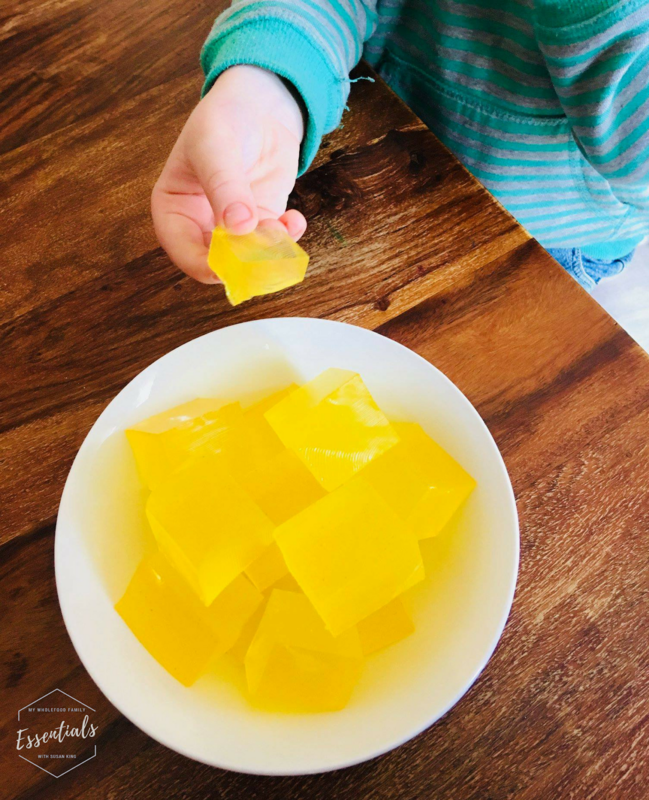 Collagen and gelatin are amazing sources of protein and other nutrients for kids - and just FYI Gelatin is actually just cooked collagen - plus they're also great for gut health which is something we're really working at the moment. 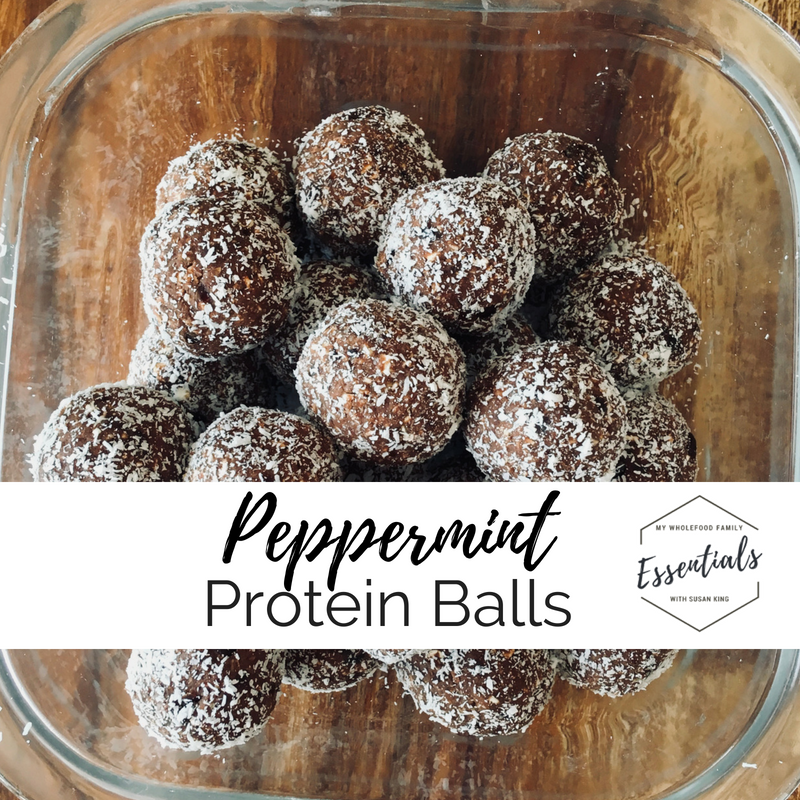 Collagen doesn't set like gelatin does and it's completely flavourless so it's perfect to hide in things like hot chocolate and smoothies! Make sure you choose a high quality, grass-fed variety. I like Great Lakes and Perfect Supplements Australia, but there are a number of other good ones. 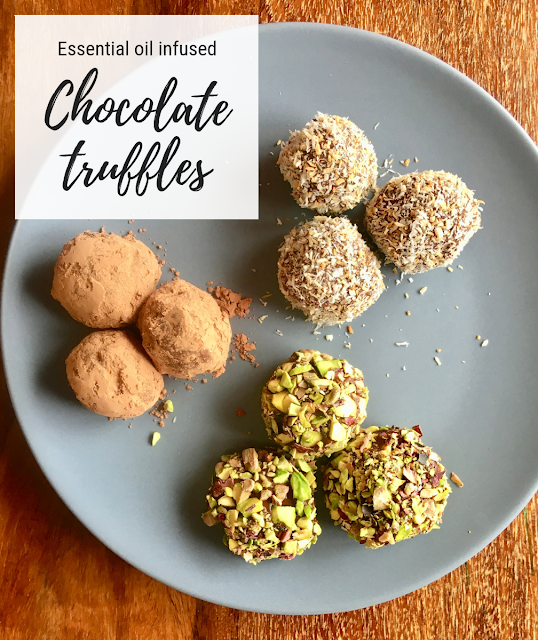 Place all ingredients into the Thermomix and heat for 3 minutes / 50 degrees / SP2 then blitz at SP 6 for a few seconds at the end to make sure it's all combined. You can also just warm it up on the stove and use a blender to mix afterwards. Can't seem to break the habit of him drinking this with a straw but at least he's drinking it! Would your kids drink something like this? I'll be sharing my grown-ups version flavoured with essential oils soon! We love bananas at our place and always buy in bulk when we can. Last week my hubby grabbed a 10kg box and of course, they all got ripe at once! So I've been baking over the past few days and the rest are peeled and stashed in the freezer ready for smoothies or homemade ice cream. And just FYI the same essential oils in this recipe whizzed up with frozen bananas and some coconut cream makes the most DIVINE ice cream! Preheat the oven to 160 degrees fan-forced. Line a 12 cup muffin tray with paper liners or lay out some silicone muffin cases on a baking tray. In a blender or Thermomix beat together the bananas, eggs, coconut sugar, coconut oil, vanilla and essential oils until smooth. Fold through the flour until just combined. Spoon mixture into prepared tin and bake for 15-18 minutes or until cooked through (the top will spring back when pressed lightly with your finger). Cool on a wire rack. Makes 12-15. Great frozen for lunchboxes. 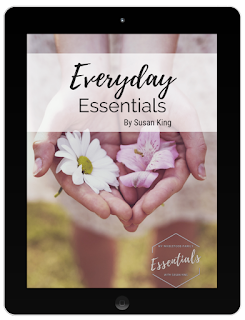 There are an incredible 37 doTERRA essential oils that can be used to flavour your food. I've used Cinnamon and Ginger here but the only limit is your imagination! My kids adore gummies and with the weather so cold at the moment it is definitely time for a new batch to help us ward off all those bugs doing the rounds. I usually make gummies using juice as a base but I didn't want the sugar this time so I've replaced it with coconut water and xylitol for a little sweetness instead. This makes a big batch but it still never lasts very long around here! 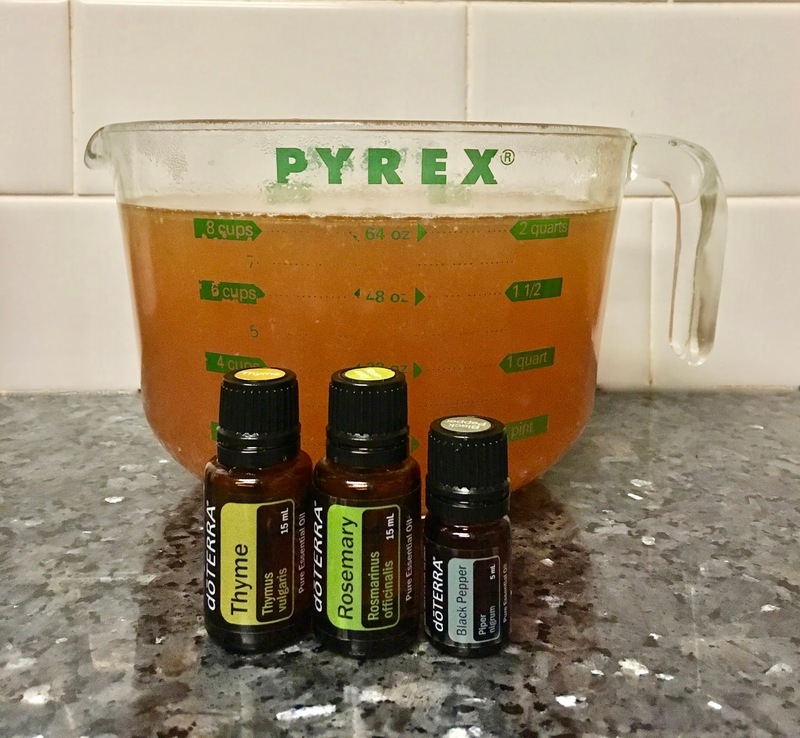 In a small bowl mix together the xylitol, lemon juice, turmeric powder and essential oils. Bring the water and coconut water to the simmer over medium heat. Add the xylitol mixture and stir well to combine. Sprinkle the gelatin over the top and use a whisk to stir until it has dissolved. Pour through a sieve into a heatproof dish and leave to set in the fridge. Slice into squares to serve. Gelatin is fantastic for gut health, helping to heal and seal the gut and in turn support your immune system. It's also packed with protein and makes a great snack for hungry kids. I absolutely LOVE that the importance of gut health is becoming so widely accepted and promoted in mainstream health and media circles. Why? Because the health of our gut affects everything from our immune system to our skin and even our mental health! Bone broth is a staple at our place all year round, but especially over Winter. It is liquid gold, like chicken soup on steroids and it's not only incredibly good for you but absolutely delicious. I actually love the taste of it so if I'm not cooking with it, I might just have a small mug of broth each day, seasoned with a little sea salt. Thyme, Rosemary and Black Pepper oils are my favourites to use in chicken broth but things like Basil, Oregano or Marjoram are wonderful too. Use your imagination, you really can't go wrong! Place the chicken wings into the slow cooker, add the vinegar and cover with water. Leave to sit for 1hr. After an hour, add the vegetables and turn the heat onto low. Cook for 24hrs. Turn the heat off and leave to stand for 1 hr. Use a slotted spoon to scoop out the chicken and vegetables and then strain the broth into a large glass jug. Add the oils and stir to combine. Place in the fridge overnight and it should turn to jelly! Or at least get a bit of a wobble. Remove the layer of fat on top if there is one but save it to cook with. Veggies fried up in a little chicken fat is AMAZING. Pour (or spoon, depending on how thick the broth is) into small glass jars and store in the fridge for a day or so, or in the freezer for a couple of months. * please only use organic chicken to make broth! 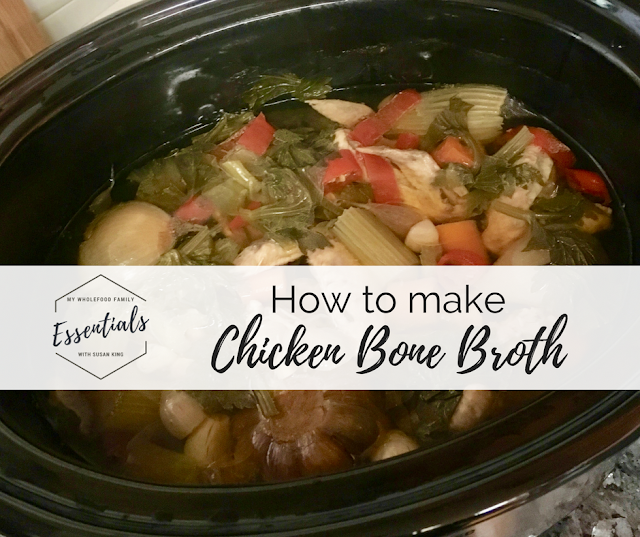 The slow cooking extracts all the nutrients and collagen from the bones, but if you're using conventional chicken it will also extract any nasties. If you want to eat the chicken, you need to remove the meat from the bones as soon as it's cooked, then return the bones to the pot for the remainder of the cooking time. Otherwise, after 24hrs it will be completely dry and tasteless. Trust me. I hope this has inspired you to give making your own broth a go. It really is easy and the health benefits are incredible!